The PlayStation 4 has had a number of stunning special editions, but few rival the translucent blue PS4 with copper accents that Sony released in celebration of 500 million total PlayStations sold. Each 500 Million Limited Edition PS4 Pro is numbered, with only 50,000 units available for preorder starting today, August 24, 2018. Well, they would have been available, if they weren’t already sold out. Shortly after going live on retailer sites like GameStop and Amazon, preorders dried up. 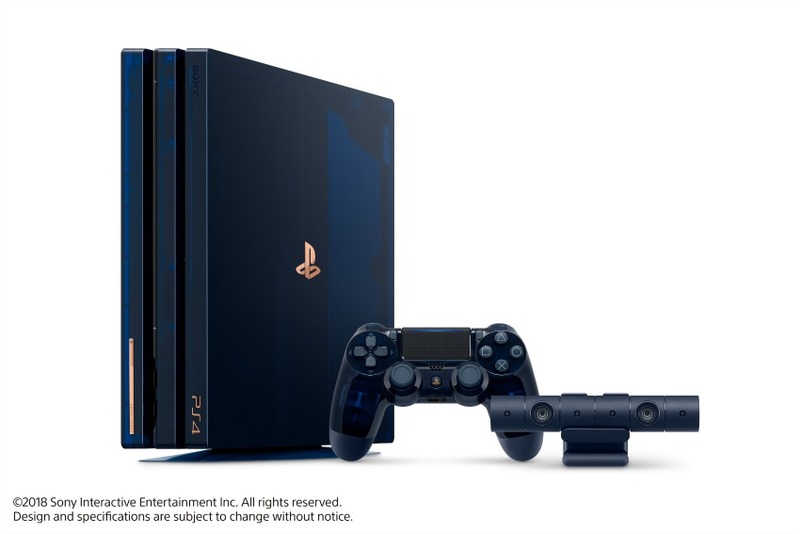 Both GameStop and Amazon have taken down their pages for the 500 Million Limited Edition PS4, unless you want to spend $1800 on one from a private seller. It will probably pop up on quite a few aftermarket sites for exorbitant prices, as tends to happen with most limited edition consoles and items. If you weren’t in the market for a full $500 console (or you were and just missed your chance), the accessories Sony released for it are still available to preorder individually. You can grab the translucent blue DualShock 4 with copper accents for $65, and the accompanying PlayStation Gold headset (which, despite its name, is actually blue in color) for just $99. The 500 Million Limited Edition PS4 Pro and DualShock 4 aren’t the only custom items that Sony has coming out soon. There are four new DualShock 4 controller colors that will be available in September 2018. Each of the four new DualShock 4 colors will be available on September 24, 2018, but you can get your preorder in now to secure one before they release. Did you manage to get yourself a preorder for the 500 Million Limited Edition PS4 Pro If not, will you be picking up one of the other translucent blue accessories to commemorate the milestone?